Paul Glickman served as KPCC’s first News Director, from 2000 to 2012. In 2012, he stepped into his new role as a Senior Editor. He is currently in charge of KPCC’s health care, immigration and public safety reporters. Paul worked for many years as a radio and print reporter in California, Central America, and Washington, D.C. In the mid-1980s he was based in Tegucigalpa, Honduras, an excellent vantage point for covering two neighboring wars: the conflict in El Salvador, where the U.S.-backed government fought Cuban-backed guerrillas, and the war in Nicaragua, where the Cuban-backed government fought U.S.-backed guerrillas. 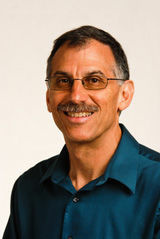 In the 1990s Glickman was a foreign editor at National Public Radio, overseeing the network's coverage of such historic events as the Rwandan genocide and South Africa's transition from apartheid to democracy. An L.A. native, Glickman grew up in Gardena and Sherman Oaks. He lives in Sherman Oaks with his wife Janetta and their sons Jonah and Caleb. A recent report argued that single payer health care would take several years to realize in California and recommended that lawmakers instead take a series of short-term steps to improve coverage. The law requires these clinics to notify women that the state provides access to low-cost and free abortions. A Riverside judge said that violates freedom of speech. The lawsuit by Eric Loberg's daughers alleged that Twin Towers staff failed to properly assess his mental condition or the degree to which he was a suicide risk. SWAT will use the unarmed drone to track active shooters, armed barricaded suspects and hazardous materials, and in search-and-rescue operations, among other things. After the civilian panel's 5-4 vote, Sheriff Jim McDonnell said the department's lone unarmed drone "is too important as a public safety tool to ground the program." Sheriff Jim McDonnell says it would benefit the public and his deputies to release videos - unless they involve an ongoing investigation or a violation of privacy. Waiting for your Alfred Angelo dress? It's too late. Or is it? The bankrupt dressmaker tells brides and bridesmaids that if they haven't gotten their dresses by now, they're not going to get them. We're trying to help. Every Southern California county saw a year-over-year increase in the percentage of fully immunized kindergartners. L.A. jumped from 90 percent to 95 percent. After weeks of internal debate, House Republicans have released their plan for the Affordable Care Act, aka Obamacare. It faces challenges from within the GOP, from interest groups — and the public. Why are a handful of measles cases an 'outbreak'? L.A. County's public health department considers the nine confirmed measles cases to be an outbreak because there were more than expected and they are linked. L.A. County and the South Coast Air Quality Management District had sought an order directing Anaplex Corp. to immediately curb hexavalent chromium emissions. The state health insurance exchange says it's making the move to align with the newly-announced midnight Monday deadline for states using federal exchanges.